Not everybody wants to learn to drive in a manual gearbox car, some like to learn in an automatic. At K2 Driving School we offer automatic driver training as well as manual. 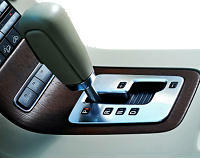 There are several reasons why you may want to learn to drive in an automatic gearbox car. You may have a disability that stops you from using either clutch or gear stick. You may have already tried to drive a manual gearbox car and found it too difficult or you may have less time in which to learn to drive (it generally takes less time to reach the required test standard in an automatic car).